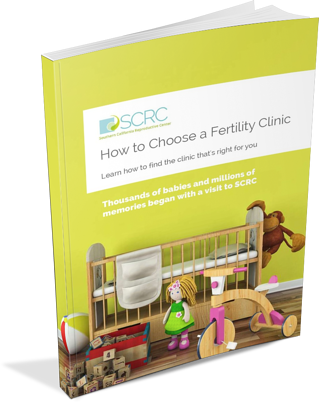 Deciding on an approach to fertility treatment with your doctor is a careful process, weighing up diagnoses, potential side-effects, and your best chances for success. Once you have settled on IVF as the way forward, there are a few more decisions to make. There are several different IVF protocols currently utilized which use different medications, dosages and timings. Two types of IVF cycles that you may be exploring are natural cycle IVF and stimulated IVF (also known as conventional IVF). There are pros and cons to both, and your fertility team will be able to help you understand which may be better for your specific case. As always, education is a powerful ally as you go through treatment. This overview will help you feel prepared to confidently discuss your options with your doctor. You may have heard of natural cycle IVF as “drug-free” IVF. That is a partially accurate description. Natural cycle IVF is timed to work with your own ovulation cycle and harvest a single, naturally matured egg, rather than using drugs to stimulate your ovaries to produce multiple eggs “on demand.” This drastically reduces the amount of fertility drugs needed in the cycle, but there is a single injection of hCG or Lupron used to prepare the egg for retrieval. After the egg retrieval process, progesterone supplementation is also used to support the development of the uterine lining. 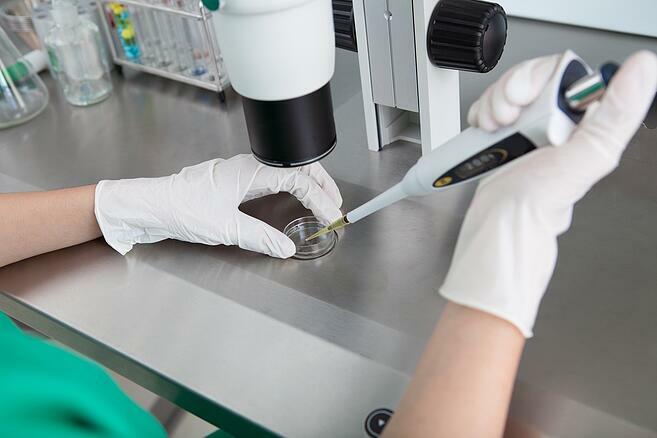 So while this type of IVF cycle is not entirely drug free, it does provide an alternative for some patients who would prefer to minimize the use of fertility drugs in their treatment. Patients dealing with personal or religious concerns around the creation, storage, or disposal of multiple embryos may prefer an approach that deals with a single embryo at a time. Because natural cycle IVF relies on a woman’s natural cycle, it may not be a legitimate option for patients with irregular ovulation or other ovulation issues. Eliminates the expensive costs associated with stimulation drugs: The cost of fertility drugs can be a heavy burden for many patients, especially those with minimal insurance coverage. Cutting out the need for so many expensive injectables can save thousands per cycle, putting IVF in reach of more patients. Results in a much shorter and safer procedure: This type of cycle requires less lead up time and less frequent monitoring. Because only one egg is retrieved, the egg retrieval process is generally quicker and easier: smaller equipment can be used, which further cuts the risk of rare post-procedure bleeding. Drug-free IVF can cause unexpected premature “LH surging” or ovulation: Because a natural IVF cycle is not strictly controlled by the use of fertility drugs, there is a chance that the crucial moment of ovulation may be missed, leading to cancellation of planned egg retrieval. In this case you must wait until your next cycle to try again. Egg may not develop into a healthy embryo: Because only one dominant follicle develops, there is only one egg to use in IVF. If the egg is unhealthy, there is no alternate. No extra embryos to choose from or to put away for storage: A natural cycle IVF cycle is a “one chance” cycle. If it is not successful, the patient will have to go through the whole process again, including the egg retrieval procedure. Significantly lower live birth rates per treatment cycle and lower rate of pregnancy: For many patients, this is the most significant argument against attempting natural cycle IVF. Success rates may be as low as 7% per cycle, depending on the clinic and the circumstances of each individual patient. Stimulated IVF if is what most people think of when they first hear the term IVF. Stimulated/conventional IVF uses a series of fertility drugs to stimulate the ovaries so that they produce multiple mature eggs. These eggs are then retrieved under light sedation and used to create embryos for transfer. Learn about the IVF process and timeline in more detail. Has been used for a long time and has a safe track record with higher success rates: More eggs means more chances of a viable pregnancy, and conventional IVF is one of the most successful assisted reproductive technologies (ART) available. Millions of healthy babies have resulted from IVF cycles, and success rates can be as high as 40% per cycle, depending on the patient’s diagnosis and age. Can help diagnose fertilization problems: Having more eggs to examine and fertilize can help your team track down specific issues that may be affecting fertilization. In some cases, there may be further procedures, such as assisted hatching or intracytoplasmic sperm injection (ISCI) which could increase your chances of success. Can screen for inherited disease: With multiple embryos, you have the option of preimplantation genetic screening (PGS) or diagnosis (PGD) which can help you select only the healthiest embryos for transfer. Unused embryos can be stored: Any embryos not transferred in the first cycle may be frozen to be used in future cycles, donated to research or to another patient. Risk of ovarian hyperstimulation syndrome (OHSS): A patient’s body may over-respond to the fertility medications, causing a range of side effects such as abdominal pain and bloating. In very rare cases, the symptoms may be severe or even dangerous. If your doctor thinks you are at very high risk of OHSS, stimulated IVF may not be your best option. Can result in multiple births: This is a very rare occurrence, as advances in technology have made it possible to achieve good success rates with single embryo transfers. In cases where more than one embryo is transferred, it is a possibility. Drugs and hormones used during procedure can be painful: The multiple injections required for a stimulated IVF cycle can be arduous, especially for patients with a phobia of needles. Can be costly: Any IVF cycle requires a substantial financial commitment, and the additional cost of the fertility medication represents another significant expense. As you and your team consider your IVF options, there are many things to keep in mind. First of all, be clear about which type of IVF your clinic does. If both natural cycle IVF and stimulated IVF are offered, your team can help you with the medical considerations. For your own part, you will need to weigh up the financial and emotional costs of each. While the initial financial commitment of natural cycle IVF may be less, if you are unsuccessful there is a possibility you could need more cycles, eventually adding up to a higher overall cost. While your chances of success rise with each cycle, the repeated disappointment of failed cycles may be more likely with natural cycle IVF. Ultimately, you will want to choose the method that offers you the best chance for a child.